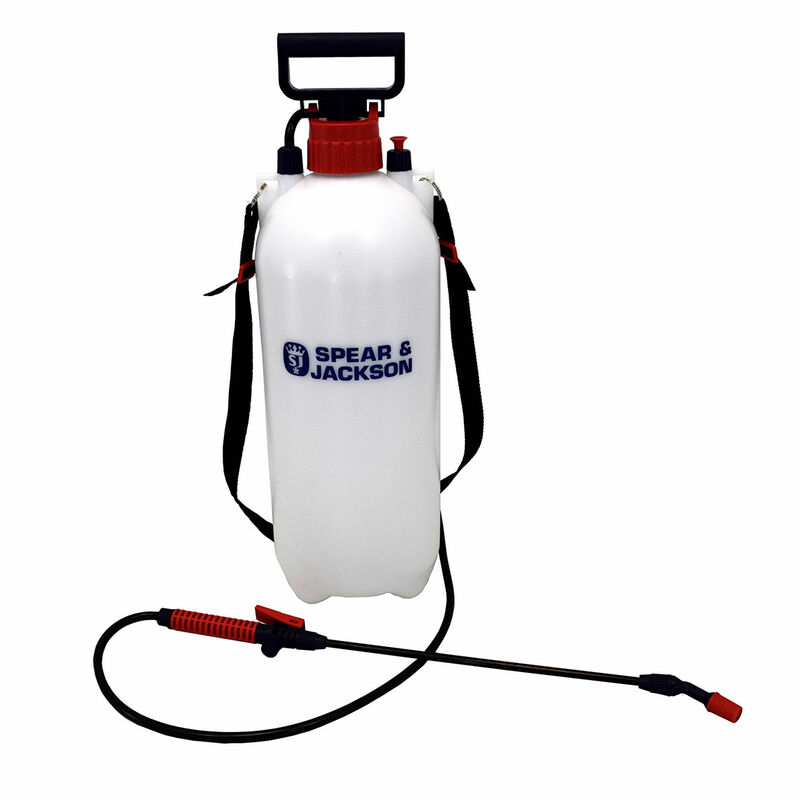 The Spear & Jackson Pump Action Pressure Sprayer is a manually operated pressure sprayer with a 8 litre capacity. The translucent bottle is clearly marked with graduations in both litres and fluid ounces for accuracy when filling or mixing water based non viscous fluids within the bottle. A shoulder strap is included and a pressure release value is located on the shoulder of the bottle. The bottle also has a pictographic guide on the rear to aid the user in operating the pressure sprayer. The 1.3 metre hose and 560mm watering wand/lance allows the user to access an awkward or less reachable area, and the output can be adjusted from a spray to a mist via the adjustable nozzle. The wand/lance handle also includes a lockable trigger for continuous spraying and a water flow regulator as an additional useful feature. The wand/lance can be stored in a horizontal position when not in use by way of the storage slot in the pump handle.